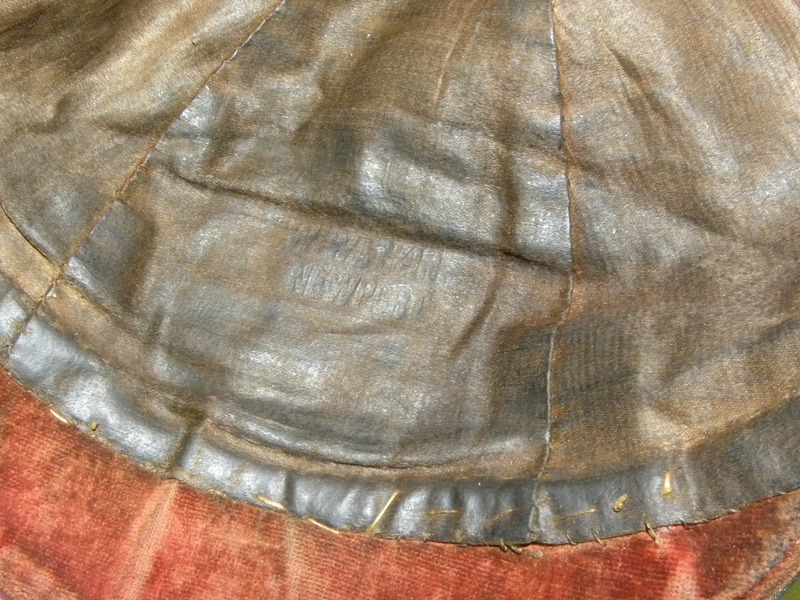 Cap awarded to James Clare. 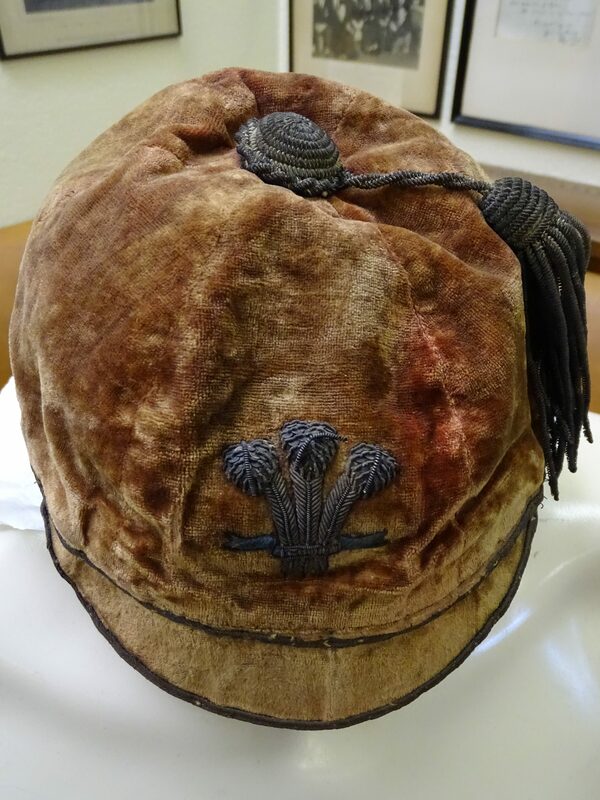 This cap was awarded to James Arthur Clare for his only appearance for Wales against England at Swansea in December 1882. The match was the third international played by Wales and the very first held on Welsh soil. 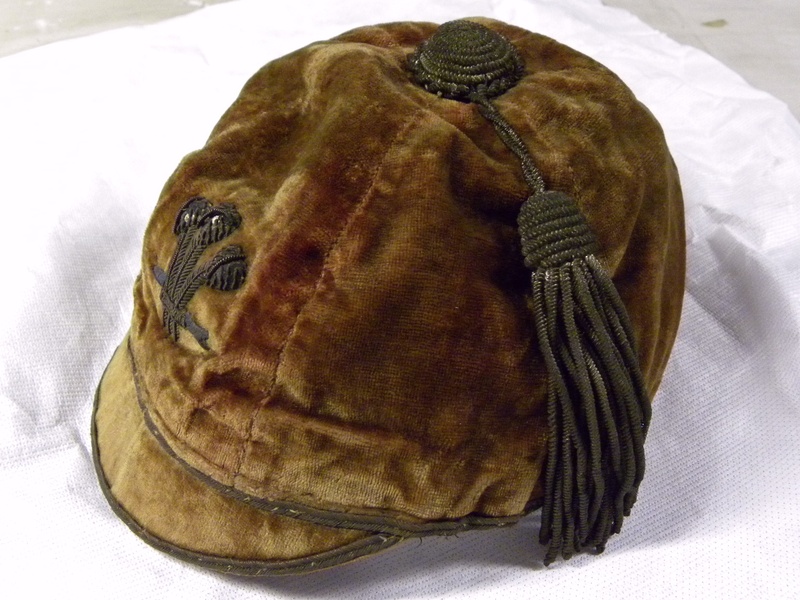 Twenty-six men had been capped in the two previous internationals, against England in 1881 and Ireland in 1882. 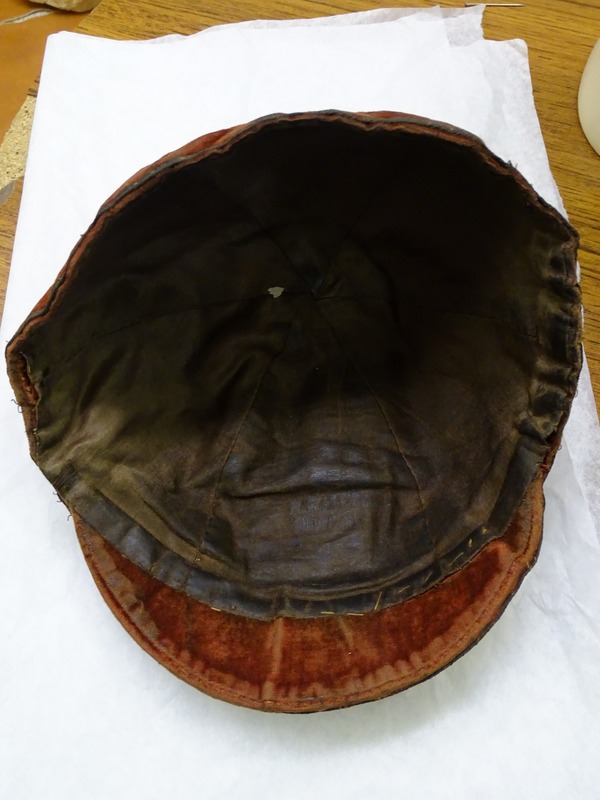 So James Clare’s Welsh cap is one of the oldest in existence and therefore of great historic importance. As in 1881, England were much too strong for the home side who lost by two goals and four tries to nil. In particular, the Welsh defence struggled to cope with the powerful Australian-born winger Greg Wade, who scored a hat-trick of tries. According to one English newspaper, “in passing and pace England were far superior” but “the two fifteens were well matched at forward.” Despite the result, the Welsh performance was acknowledged to be an improvement on the embarrassing defeat at Blackheath in 1881. In all official records, James Clare is listed as a Cardiff player. However, there is some doubt about whether this affiliation is correct. Though he did have a couple of games for Cardiff before he was capped, his main club at the time was Cardiff Wanderers (formerly known as Cardiff Pilots). He is listed as a Cardiff Wanderers player in the Welsh Trial; and also as a Cardiff Wanderers player when the Welsh team to play England was announced. However, almost all press reports of the England international list his club just as “Cardiff”, and that’s how he’s recorded in all subsequent official records. Nevertheless, there is further evidence that his “first claim” club was really the Wanderers when he was capped. Two months after the international, on the 3rd February 1883, he played for Cardiff Wanderers against Cardiff in the first round of the South Wales Challenge Cup. (This fixture was missed by C S Arthur in his club history and in all later Cardiff records). However, with the disbanding of the Cardiff Wanderers club shortly after this cup match, James Clare became a regular Cardiff player, taking part in twenty-four First XV games up to 1884-5.